a. Most people in the British Government were ready to recognize the Confederacy as an independent nation. 4. Gen. Lee retreated back across the Potomac into Virginia giving the Union army a strategic victory. b. The victory nonetheless raised Northern morale and gave hope that Gen. Lee could be defeated. c. It also cost the South any hope of support from European Countries. 2. 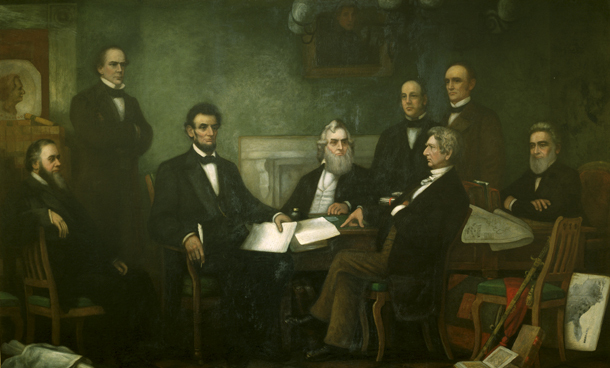 The Emancipation Proclamation was a military order stating that at a certain date all slaves living in areas still rebelling against the United States would be free. 3. The Emancipation only applied to Confederate States (States not under Union control). Northern States that allowed slavery would be allowed to keep them. 4. The victory at Antietam gave Lincoln the win he needed to release the Proclamation. Today you will create a timeline on the history of Slavery in the United States. Your time line should include 25 major events or occurences that happened to slavery as well as any U.S. law that effected the issue of slavery. Your timeline should begin with the first slaves being brought over to Jamestown in 1619 through the thirteenth amendment prohibiting slavery.